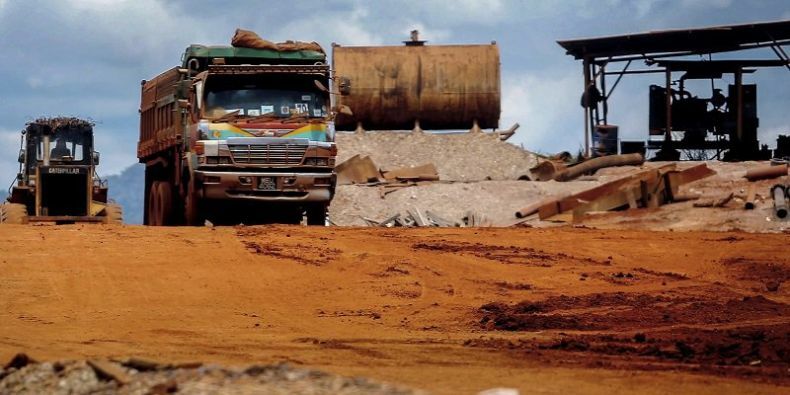 Two years after a moratorium on all bauxite mining was imposed in Pahang, local stockpiles have still not been cleared. Some 10 tons of bauxite still remains. In other words, the clear-up has been manifestly sluggish, even by local standards, to say the least. And so it goes. What seemed like a relatively simple matter has been dragging on and on. This sad state of affairs has added to the woes and concerns of locals in Kuantan with the threat of run-off from iron ore stockpiles and inactive open pits that scar the landscape being ever present while stockpiles remain in place. Yes, it must. Then again, we’ve been here before. Repeatedly. Over the past two years the ban has been extended, then re-extended, then re-extended again and again. Why the repeated delays on the clean-up of existing stockpiles? you may wonder. Good question. There seems to have been little haste on the part of local authorities to get things going with the clear-up. It has not helped matters that some locals have reported being witness to clandestine mining activities carrying on under the cover of darkness with fly-by-night operators being the alleged culprits. “The excavators passed by my house on Monday and when I demanded [to see] a permit, they could not provide me with any proof. I’m not sure what the mining operators are up to,” one elderly villager observed last year. We all know what to make of that. Meanwhile, the pell-mell mining activities that wreaked havoc with Kuantan’s environment throughout 2015, inflicting grave damage on local ecosystems, continue to have their effects felt. With soil and water sources badly contaminated, many local farmers have been experiencing unusually low yields. 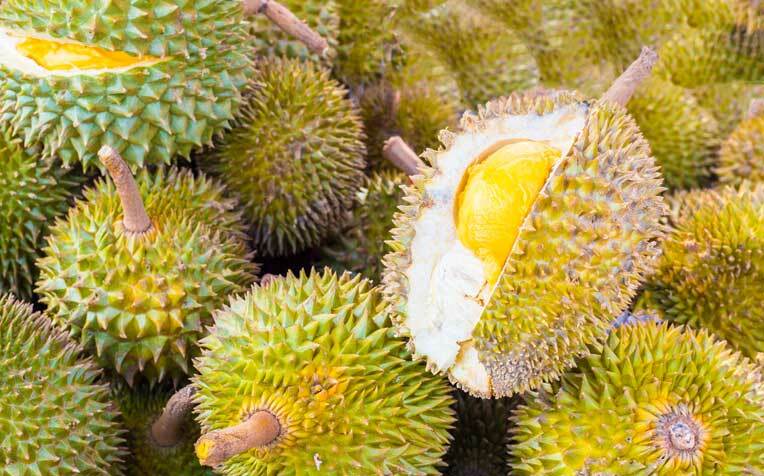 They include durian growers. 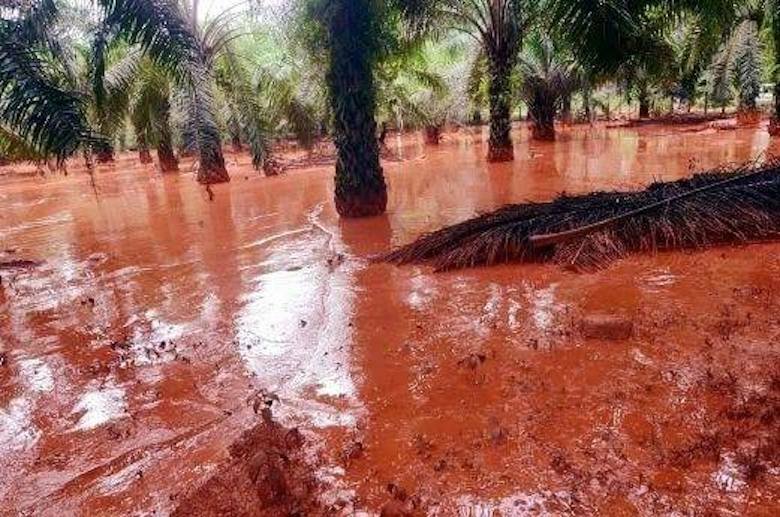 Crops of the fruit in Kuantan, the ground zero of the bauxite mining disaster in Pahang, have been failing. Fish stocks in local rivers, too, may well have been tainted with toxins like heavy metals. Some experts say the environment of Pahang might take years, if not decades, to fully recover from the widespread ravages brought on by unregulated open-pit bauxite mining, which turned Malaysia almost overnight into a leading producer of the aluminum ore for the voracious Chinese market. The morale of the story: short-term economic gains obtained without a care for the health of the environment can deal massive harm to Malaysia’s famously biodiverse natural landscapes. Here’s hoping the bauxite mining fiasco will have taught all of us that important lesson.